There’s a lot of research out these days on children of divorce after they grow up. However, if you review some of the key research published regarding adjustment of children during and soon after a divorce, you’ll find a lot of confusion. Some of it stems from the confusion that occurs between the child’s age at the divorce and the child’s age when problems develop. 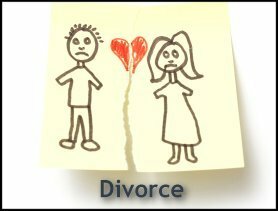 A child at age 12 who experienced his parents’ divorce at age six is different from a child of age 12 who is now going through his parents’ divorce. Thus, studying 12 year old children of divorce is not as simple as it may appear. The data is inconclusive as to whether young children are at a greater risk for adjustment problems, but they clearly are harmed by it as much as older children are. Divorce does not appear to have consistent effects across all children and across all ages. Older children may be more sensitive to family conflict and feel more pressure to intervene, which could increase their risk for problems, but they also have more emotional resources to help them cope, which could decrease their risk. Younger children may have less ability to sense and intervene to stop arguments, possibly leading to less risk, but they also have fewer cognitive resources to make sense of events and emotions, possibly leading to higher risks. Thus, determining how any specific child will deal with a divorce entails understanding that child’s strengths and the demands of the specific situation. Other studies have shown that problems resulting from the divorce last into adulthood, and often lead to poorer romantic relationships. It may be the stress of the childhood relationships to divorced parents, the expectation that marriages can easily end in divorce, or the loss of a close and confiding relationship with two parents who have made a marriage work that account for these findings. It should also be noted that these results do not indicate that divorce per se is the main cause of childhood problems in divorced families. In fact, among families high on conflict, divorced families, and “normal” families, the married and in conflict families showed more child adjustment problems than the divorced families. Other studies have shown about half of the behavioral, achievement, and emotional problems seen in boys from divorced families could be identified as early as four year prior to the divorce. Girls showed weaker but similar findings. Thus, the same factors that led to the divorce have likely already had a negative impact on children when the divorce actually occurs. There seem to be three key areas to understanding how children will adjust in any specific case. These three areas are each discussed below. Whiteside and Becker, in the March 2000 Journal of Family Psychology, note that what seems to matter most is helping children adjust in the two years after the divorce is for the children to experience an Authoritative style of parenting. Authoritative parents are able to provide structure for their children, but still remain flexible; they can allow the children to make some decisions on their own, while still maintaining parental control over the situation. This kind of parenting is marked by good flexibility but good consistency, coupled with emotional warmth. Research has generally found this to be the most effective kind of parenting. Parents showing an Authoritative Style are also more likely to show more active coping behaviors, feel more self-efficacy, and seek out and receive more social support. The child must be able to move between the custodial and non-residential parent’s homes without guilt. This means no dirty looks or conflict about the visit. Unless this begins early on, it will be difficult to establish the child’s connection to the non-residential parent as “safe” to continue. Conflicts and arguments over holiday visits, “idealizing” the other parent and announcing a desire to live with them during conflict, and resentment of the step-father are less likely to happen too. The two parents must respect each other’s rules and values. While they may not have been able to agree in marriage, they must be able to do so in divorce. A consistent bedtime, and rules about off-limit foods and television shows, indicates to a child that their world is still stable and dependable. Sandler and colleagues found that maintaining the number of positive events in the child’s life (for example, involvement in after-school activities) is crucial in predicting good adjustment after divorce. They offer that stable events and schedules help the child feel their world is predictable and dependable. Although parents may feel and think differently, increases in positive events, such as increased recreational time with father (e.g., “Disneyland Dads”) did not necessarily lead to better adjustment in children. Parents must not fight in front of the children. Increasing arguments between parents is one of the negative events that Sandler and colleagues found to predict poor adjustment after divorce. This is articulated in more detail below. Secure Attachment – These children show fewer adjustment problems; however, these children have typically received more consistent and developmentally appropriate parenting for most of their life. The parents of securely attached children likely are better able to maintain these aspects of parenting through the divorce. Given that the family factors that lead to divorce also impact the children, there could be fewer securely attached children in divorcing families. Insecure/Avoidant Attachment These children become anxious, clinging, and angry with the parent. These children typically come from families with adults who were also insecurely attached to their families, and were thus unable to provide the kind of consistency, emotional responsiveness, and care that securely attached parents could offer. Such parents have a more difficult time with the divorce, and are more likely to become rejecting, in the ways noted above. Insecure/Ambivalent Attachment These children generally are raised with disorganized, neglecting, and inattentive parenting. The parents are even less able to provide stability and psychological strength for them after a divorce, and as a result the children are even more prone to become clinging but inconsolable in their distress, as well as to act out, suffer mood swings, and become oversensitive to stress. Parents of both the Avoidant and Ambivalent children can, after the stress of a difficult marriage and/or divorce, turn to their children for emotional support. The children may offer it, and become enmeshed in their parent’s emotional world and more sensitive to emotional distress. Alternately, they may reject the parent and try to disconnect themselves from the family as much as possible. This leads them to have the same kind of distant and uninvolved relationship as their parents had with their own family. The third key area to understand how children adjust to divorce is the issue of parental conflict. Children need supportive co-parenting; this means that parents must cooperate sufficiently well to see that the children’s needs are met. The children do not need parents who fight and argue with each other in front of the children, or fight “through the children” by, for example, criticizing the absent parent in front of the children, or offering the damning comment, “You’re just like your Father/Mother.” Since the custodial parent has “expelled” the absent parent from their life for being “bad,” at least in the child’s mind, it stands to reason that the child too could be “bad” and be expelled from the home as well. One study cited by Cummings and Davies found that 66% of parental interactions after the divorce were marked by anger and conflict. Kelly noted that conflict drops significantly after the first two years for most divorced families, but for another 25% the level of stress after two years remains very close to the level of distress soon after the divorce. Witnessing conflict between the parents is very disruptive to children’s adjustment. Children exposed to conflict are more likely to have behavioral and emotional disturbances, suffer social and interpersonal problems, and show impairment in their thought and reasoning processes. Studies dating back to the 1930’s have consistently shown this. Cummings and Davies cite numerous studies showing how prolonged marital conflict, as opposed to short-term conflict in times of short-term stress, is a very good predictor of child behavior problems. The power of the predictor grows after divorce; that is to say, parental conflict is more likely to lead to emotional and behavioral problems, and after a divorce is much more likely to result in such problems. When conflict escalates to physical levels, the children are 500% to 600% more likely to have severe behavioral problems, and much more likely to be abused themselves. Why would conflict, even only verbal conflict, produce these kinds of results? Children are exposed to all sorts of emotions during conflict, such as anger, apathy, and alienation. Children are like sponges in some ways, and easily “soak up” the emotions around them, especially when the arguments center on them, their behavior, and their needs. They become overwhelmed and confused, and may feel a need to side with one parent or intervene to stop the arguing. This is more likely when arguments quickly escalate from small quibbles to huge fights. Their adrenaline levels are elevated, their heart rate increases, and their blood pressure rises. As noted, when depression or alcohol use in a parent reaches clinically significant levels, serious problems become much more likely. When the parents show better emotional adjustment after the divorce, so do the children. Parents are better able to maintain consistent structure in the children’s lives, respond to their dejection, resentment, and confusion promptly and clearly. When parents are able to argue over some child-rearing issue, reach an agreement, and stick to the compromise, children show much less anxiety, insecurity, and distress. It is as if the two “pillars” that support their world remain steady this way. Children from higher SES families also showed better adjustment. It would appear that adequate financial support can have a buffering effect. Put another way, higher SES families don’t have the additional stress that a lower standard of living can cause, and may be able to use financial resources to free up more time to heal through rituals (e.g., Friday night movies and pizza), greater exposure to extended family, etc…. It may be that having more financial resources, vacation time, etc… makes it easier for the children to spend time with each parent, and for the parents to get psychological help when needed. So what makes conflict OK? How do you manage conflict? Cummings and Davies offer the following points to consider. What may be most harmful are repeated, and more frequent, angry and conflicted exchanges that do not lead to resolution and greater peace. These can be especially nasty when they include name-calling, “kitchen sinking” (throwing every complaint you can come up with into the argument), and revealing buried resentments in a moment of anger. This may even be compounded by high levels of conflict that existed in the family before the divorce. In high conflict families, the children become sensitized to anger and conflict, and thus are “hypersensitive” to it. Worst of all, however, is clearly verbal aggression that turns physical. Research has linked this to the greatest degree of behavioral and emotional problems. Parents should argue to work out differences when necessary, but also include resolution, and even apologies (a simple, “I’m sorry” from both will do) in front of the children to let them know all is well again. Arguments resolved behind closed doors can still communicate resolution if the hostility is gone and some sign of affection is exchanged in front of the children. Explanation of the fight when possible and appropriate can also be helpful. Children are sensitive to the conflict in the marriage, and after a divorce may become even more sensitive to it, especially if the children have shown attachment problems or begin to show attachment problems with the absent parent. They may also suffer from role reversals with their parents and social problems with their peers because of their difficulty regulating their emotions. It is as if they exert all their emotional control in the home, and have little left for the school and playground. Some people mistake “conflict” for “yelling and hollering.” The “cold silent treatment” is just as obvious to children, since parents who suddenly do not speak to each other, or who are no longer affectionate with each other mark a significant change in a child’s eyes. Some argue this kind of conflict is actually worse for children than open arguments; an open argument can be resolved, but a quiet, subtle war does not appear resolved. Very young children become distressed and may cry, express fear, or show anxiety. They may have nightmares, engage in regressive behavior, and appear to “back up” to a much younger age. They are less likely to intervene to stop parents, but more likely to try to distract them from fighting with needy or inappropriate behavior, or to withdraw and become dejected. At age five or six, children begin to intervene directly, expressing desires that parents stop, or that the arguing makes them unhappy. They may become “little adults” in an effort to stabilize the family as well, but it unclear as to how much this predisposes them to suffer emotional problems in later life. They may be more likely to become enmeshed and experience reversal of roles and social problems, as noted above. Younger boys may show more acting out, aggressive, and “hyperactive behavior.” Girls may show more withdrawing and dejection, or “little adult” behavior that is unlikely to draw the same level of attention that a boy’s wild and uncontrolled behavior does. State your feelings in straight-forward “I” language. State your wants clearly too. You need to broaden your world view, sweetheart. Physical and emotional abuse also destroys lives. Anyone who has the courage to leave a marriage where this is occurring and end that horrible trauma for their children is not selfish but responsible. This is the reality for many who have chosen this path. Adultery is not the only motivation. If you are blessed enough to be in a marriage that isn’t abusive, congratulations and good on you. Just, please don’t judge others who have struggled through an entirely different reality and made the difficult decision to get out — for their sake and the sake of their children. Divorce does destroy a family life. However, requiring by law that people remain married until the children reach 18 is unlikely to make things better. One, parents could stay married but live apart, and then we would have “unofficial divorce” without the outside intervention and support that normally comes with divorce. Two, requiring by law that people live with intense conflict, violence, abuse… compromises mental and physical health, as well as freedom, in such a way that the solution may be worse than the problem.